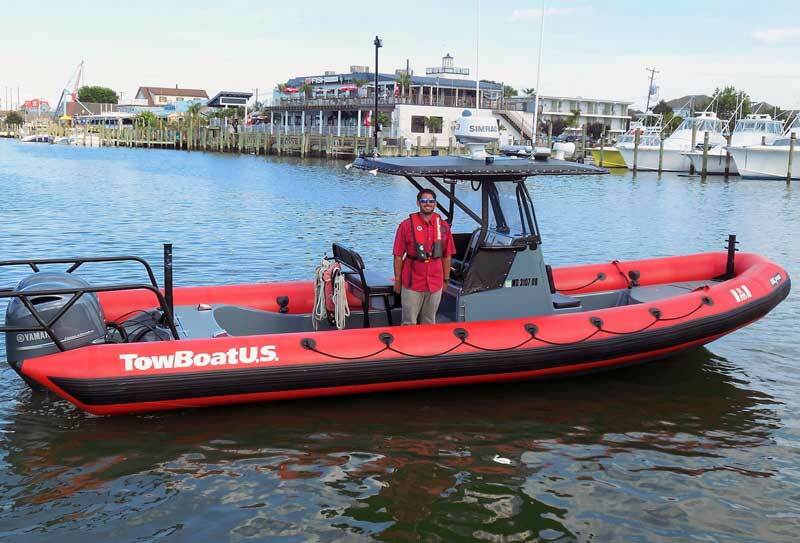 Captain Rob Copenhaver is the new owner of the 24-hour on-the-water boater assistance service, TowBoatUS Ocean City, MD. Copenhaver was most recently operations manager, helping to grow the local boat towing company’s footprint last July by adding a second location: TowBoatUS Chincoteague, VA. He’s taking over the helm after the passing of former owner Captain Greg Hall, who started TowBoatUS Ocean City in 1986. Today, the location is one of the longest-running towing ports in the nationwide fleet of more than 600 response vessels at 300-plus TowBoatUS locations. Copenhaver’s tenure with the company began shortly after he graduated from Stephen Decatur High School in 2004 when he did marine-construction work for Hall. He then spent six years gaining experience as a towing response vessel captain for TowBoatUS Marco Island, FL. He rejoined Hall at TowBoatUS Ocean City seven years ago and has since logged hundreds of hours and miles of towing disabled vessels, providing battery jumps, and providing soft-ungrounding services, steadily growing his responsibilities to eventually manage day-to-day operations. Much like an auto club for boaters, BoatUS offers on-water Unlimited Towing Memberships for saltwater boaters and anglers for $159 per year. Boaters without BoatUS towing services face costs that average $750 per towing incident, with some paying into the thousands out of pocket. “While most of our calls for assistance from boaters are for routine engine breakdowns, we also do quite a few soft ungroundings, as there a lot of shifting sand bars that can appear at random,” said Copenhaver. “Having TowBoatUS 24-hour on-water towing and assistance service means you will not have to worry if someone is going to stop to help you with a routine breakdown or for a gentle pull off the bottom.” He notes that using the free BoatUS App to summon assistance often speeds response times. The company operates a fleet of six response vessels from 21 to 42 feet out of Fisherman’s Marina in Ocean City, and Curtis Merritt Harbor in Chincoteague. All are easily recognizable by their red hulls with TowBoatUS logo emblazoned in bright white letters on their hull sides. Each boat is rigged for towing, jump-starts, fuel delivery, and soft ungroundings. The company also offers salvage and recovery services. Boaters can reach TowBoatUS Ocean City and Chincoteague by hailing on VHF channel 16, by calling the company directly at (443) 235-3552, by phoning the BoatUS toll-free 24/7 Dispatch Center at (800) 391-4869, or via smartphone using the BoatUS App.